In recent years, as the need to develop alternative, non-petroleum-based transportation fuels has become more pressing, there has been a growing interest in using advanced biotechnologies to improve biofuel production. Specifically, numerous strategies have evolved by which biotechnology is being used to create improved biofuels products or processes, involving the creation of engineered or synthetic microorganisms for use in production of ethanol, biodiesel or other fuels, or genetically engineered (“transgenic”) plants as improved fuel feedstocks. These approaches can generally be summarized as follows. Potential Applications of Biotechnology to Improve Renewable Fuel Production. 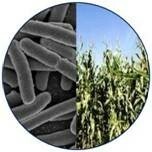 Enhanced or engineered microorganisms for fermentation of ethanol, butanol, other fuels. Engineered microorganisms or plants to manufacture enzymes used in fuel production. Improved algal strains for biofuel production. Selected or engineered plant species with favorable traits for use as improved biofuel feedstocks. There are a number of ways in which microorganisms, algae or plants can be modified for improved industrial performance. Some of the companies and technologies I’ll discuss make use of selected, often proprietary strains of production organisms, that have been derived from naturally occurring organisms using traditional techniques of mutation and selection, or in the case of plants by traditional crop breeding. These methods have been practiced in industry and in agriculture for decades, and in many cases their use can lead to significant process improvements, for example in the efficiency of ethanol fermentation. However, in most cases, the technology strategies I’ll discuss in this blog will be ones that utilize genetic engineering methods based on recombinant DNA. Recombinant DNA methods enable the insertion of genes from any source in nature into a chosen “host” organism, thereby conferring on the host organism a genetic trait or a biochemical capability not naturally found in that organism. Genes function in nature by encoding the synthesis of specific protein molecules, most of which are enzymes whose role it is to catalyze specific biochemical reactions inside living cells; and so by transplanting a gene into a new host organism, under conditions in which the gene can actively direct the synthesis of its corresponding enzyme, one can impart on the host organism new or improved biochemical powers. In the years since recombinant DNA techniques were first developed in the mid-1970s, techniques have been worked out for the genetic engineering of almost any species of organism having medical, industrial or agricultural value, including most important plant species, almost any microorganism, and many algal species. These techniques are now being used to improve natural processes for synthesis of ethanol and other fuels. There are also a number of companies and academic research laboratories using more advanced technologies for improvement of microbial or plant performance. Many of these methodologies utilize recombinant DNA, but in ways specifically designed to facilitate the creation of organisms improved for a specific desired function. These newer techniques, along with more traditional methods of organism improvement, are summarized as follows, with the understanding that there can be some overlap in the way these terms are defined. Some of the technologies, like directed evolution or DNA shuffling, use a combination of genetic tricks and enhanced selective pressure to greatly enhance the activity of a targeted enzyme or pathway, while other techniques like synthetic biology allow creation of novel or enhanced metabolic pathways in organisms never before possessing such traits. Classical mutation and selection or plant breeding: this encompasses a variety of well-known, decades-old techniques for selectively breeding or otherwise selecting naturally-occurring (or mutationally induced) variants of a starting strain or plant variety. Recombinant DNA: insertion and expression of heterologous genes into a desired host organism (microorganism, algae or plant) to improve a desired trait or biochemical function in the host organism. Directed evolution: this technique generally involves growing a desired microbial strain under certain limiting conditions that impose selective pressure under which those mutant overperforming strains that arise can eventually outcompete the starting strain. DNA shuffling: this is a form of directed evolution where the gene encoding the enzyme targeted for improvement is mutated in millions of permutations using recombinant techniques, followed by selection and isolation of superior performers, often carried out in multiple iterations of selection. Metabolic engineering: this term refers to the use of recombinant DNA technologies to create new metabolic or biosynthetic pathways in host organisms, or to enhance existing pathways, through the engineered, coordinated expression of several heterologous or enhanced enzymes in the desired pathway. Synthetic biology: in this technique biochemical pathways or even entire microorganisms are created “from scratch”, to create pathways or organisms not previously found in nature. It can be viewed as a more ambitious approach to metabolic engineering, as it often involves creation of biochemical pathways never before existing in the host organism of choice. The entries that will follow over the next several days will provide overviews of the approaches that are being taken to modify microorganisms, algae and plants to improve biofuel production. Following that, I’ll begin to review the companies that are active in using advanced biotechnology in the different sectors of the biofuel industry. Please contact me with any questions you may have. Posted on January 13, 2010 by dglassassociates. This entry was posted in Technologies. Bookmark the permalink.